The decision to ban the speakers was made after residents in the neighborhood of Nyarugene complained about a consistent noise disturbance. 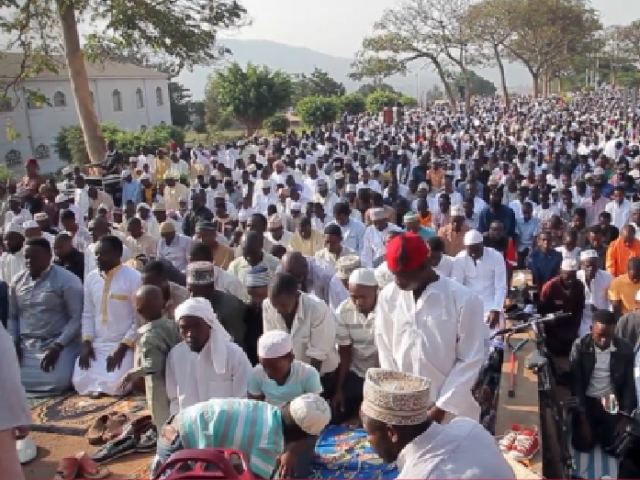 “During the churches and mosques inspection in Nyarugenge sector on February 19, 2018, it came to our attention that mosques use megaphones installed on their buildings and this causes noise pollution,” wrote Charles Havuguziga, the Executive Secretary of Nyarugenge sector, which is home to many of the city’s largest mosques. “I am requesting you to desist from using the speakers and find an alternative communication which does not cause noise pollution as you call the followers for prayer,” the letter continues. Local Islamic groups have expressed their opposition to the decision, and instead suggested they could just keep the volume down. Despite their opposition, Muslims have complied with the ban. “I have found that they have begun to respect it and it has not stopped their followers from going to pray according to their praying time,” Havuguziga Charles, a local official told the BBC. Rwanda has a majority Christian population. Around 94 percent practice a variant of Christianity, while just five percent are Muslim. The instruction comes as Rwandan authorities conduct a widespread clampdown on religious institutions deemed unacceptable for reasons ranging from hygiene to the content of their sermons. Over the past few weeks, over 1,000 churches and mosques have been closed for failing to meet standards pertaining to hygiene, construction, and noise pollution. “Some churches conduct their worship services in shoddy and unclean structures, to the detriment of people’s health and safety,” said Anastase Shyaka, head of the Rwanda Governance Board, which monitors public and private organizations. “Cases of noise pollution have also been reported while some operate without the required operation permits,” he continued. Meanwhile, the government also maintains that some preachers “deceiving their congregation with misleading sermons,” leading to accusations from human rights groups that the government is stifling freedom of speech.